The Paleo trend is sweeping through the world right now, and for good reason. Unlike other diets, Paleo seeks to restore balance to your body by emphasizing the foods that we as early humans enjoyed; namely meats, fruits, vegetables, and some nuts and seeds. The diet rejects processed sugars, dairy, and most grains and legumes since they were cultivated many years later and were not as easy to digest or suited for our human bodies. So why Paleo muffins? Why not? They’re easy to make at home, will make your kitchen smell incredible as they bake, and put a smile on everyone’s face. 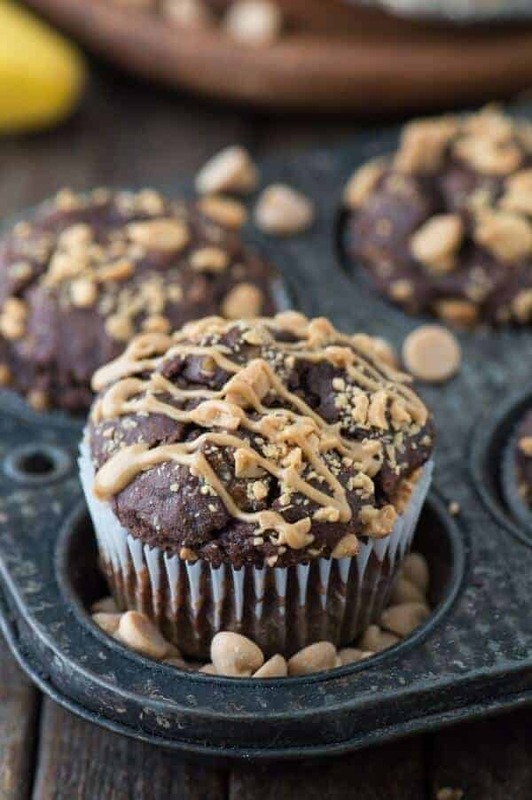 There are an infinite variety of paleo muffin recipes to experiment with and the nutritious ingredients from the paleo diet will make them not only delicious but also wholesome, filling you with protein and long-lasting energy for the entire day. Some substitutions might be necessary in these recipes to make them completely paleo. A perfect example how you don’t need to sacrifice natural sweetness on while following paleo, the combination of chocolate and bananas in these muffins is irresistible. Definitely a crowd pleaser that works for breakfast or snack time and also a great use for bananas that might be getting overripe. These muffins are quick and simple to make, the recipe doesn’t even require a stand mixer. The combination of coconut oil, eggs, and cacao powder blended with other paleo ingredients tastes completely indulgent. If you are looking to impress a group of friends or family on an autumn day, look no further than these beautiful and wonderfully flavored paleo appropriate cupcakes. Be assured that just because they are named ‘cakes,’ they aren’t lacking in quality ingredients found in many paleo recipes. Adding in the 5 bags of chai tea to the fluffy vanilla treats is optional but gives them a subtle yet deliciously spiced flavor that is sophisticated and totally satisfies without processed sugar. When its summertime, fresh peaches are plentiful at farmer’s markets and grocery stores, but it can sometimes be challenging to find a perfect recipe that makes use of this delicious fruits. 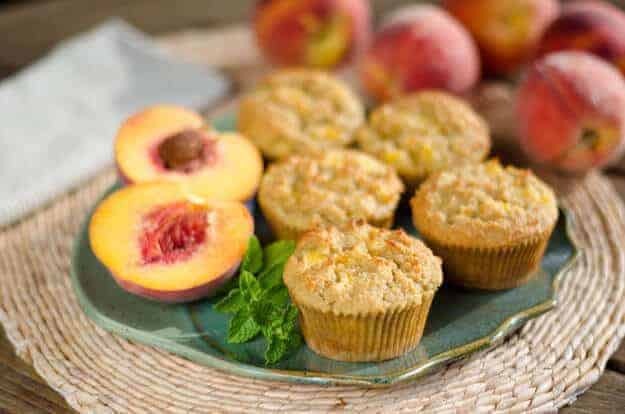 These muffins are a perfect, using all the amazing natural sweetness of the peaches mixed with honey. The recipe calls for ghee, which is clarified butter, but you could replace that with coconut oil if abstaining from butter. The result of this beautiful recipe is a delightful fresh and moist paleo treat. 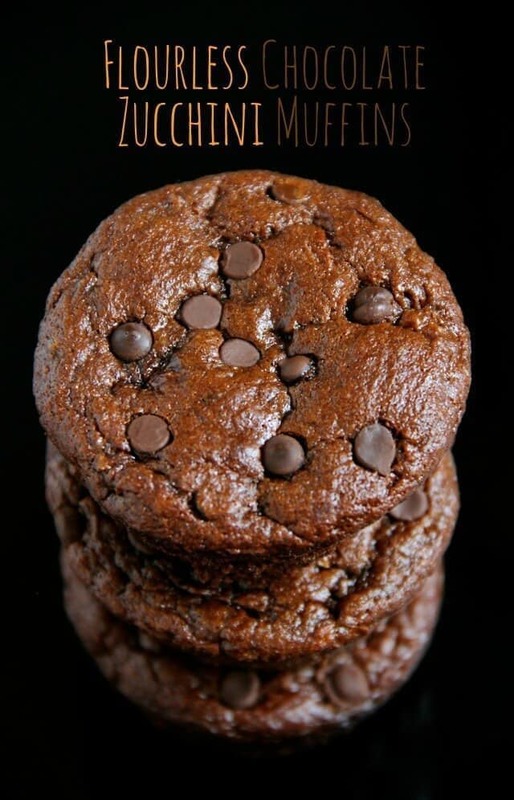 These are the real deal: they are flourless, oil-free muffins with a fudgy center! With only four ingredients you probably already have, you could make these in just 20 minutes. Sweetness comes from the bananas and honey that are combined with cocoa powder and peanut butter. Almond butter would be a delicious substitute. These muffins will come out of the oven gooey and positively indulgent. Refrigerate the leftovers if you have any! This little powerhouse of a muffin has everything you need to fuel you up at breakfast time in one delicious package. 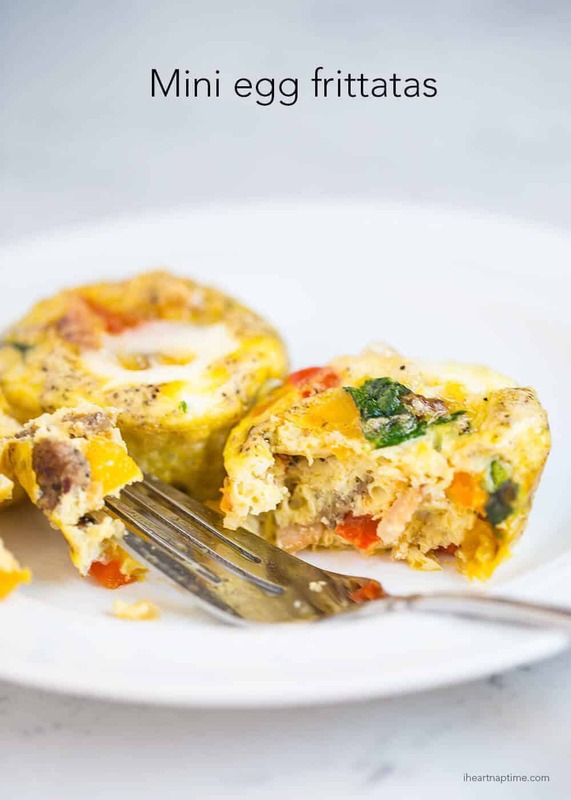 Think of it as a full breakfast in a compact muffin featuring some seriously tasty paleo foods like sausage, spinach and tons of eggs. Delicious straight out of the oven or warmed in a toaster, these muffins are even good cold so you can pack them ahead of time. They’ll help you feel your best while packing a huge serving of protein and veggies. This delicious muffins are partially paleo but so delicious and healthy they deserve to be included. 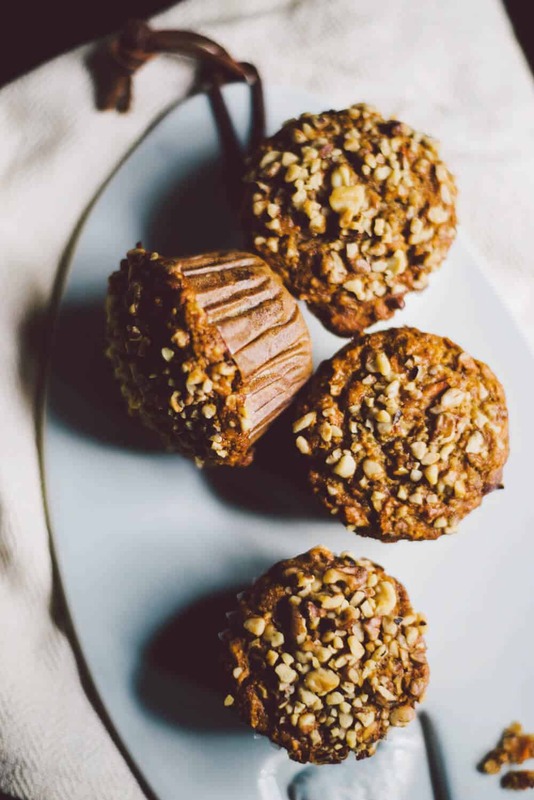 The muffins are sweetened with bananas instead of processed sugar which gives them that delicious texture and naturally occurring sugar content. Adding protein is greek yogurt and peanut butter, and of course the taste combination of the chocolate and peanut butter is amazingly satisfying. Adding in the peanut butter chips makes it over-the-top delicious. These apple muffins are grain-free and gluten free, and a perfectly easy addition to any muffin lover’s paleo recipes collection. 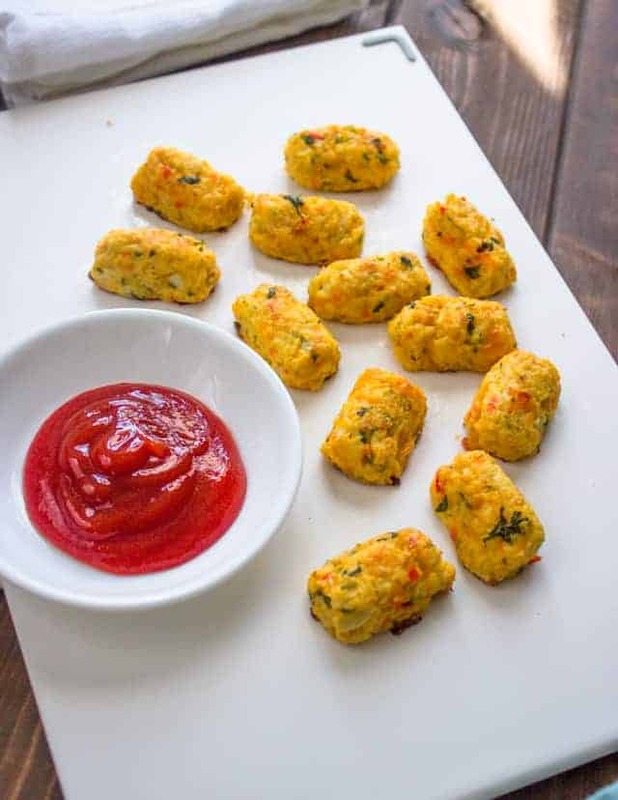 With a moist, chewy consistency and a hearty serving of egg protein, they pack a powerful and delicious punch for breakfast or snack time. 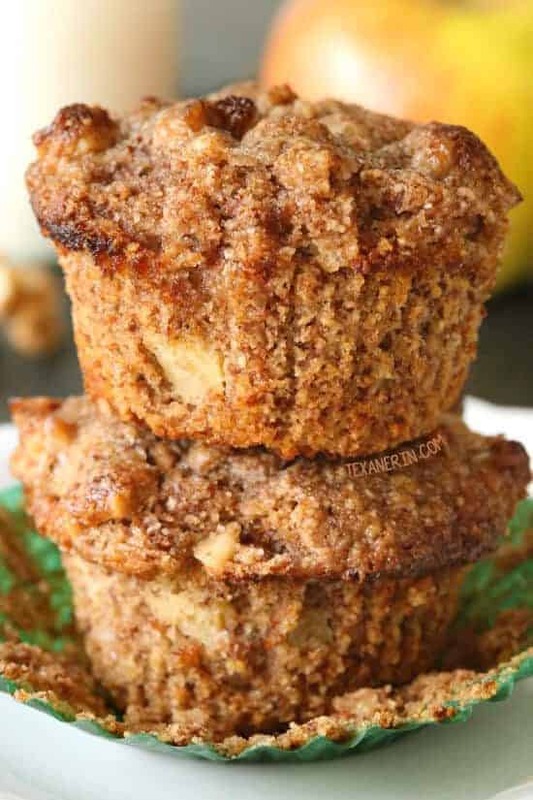 With a hearty serving of apples and an optional streusel you can add on top, you’ll be enjoying a healthy paleo inspired muffin that reminds you of apple pie but with so much nutrition and none of the grain. 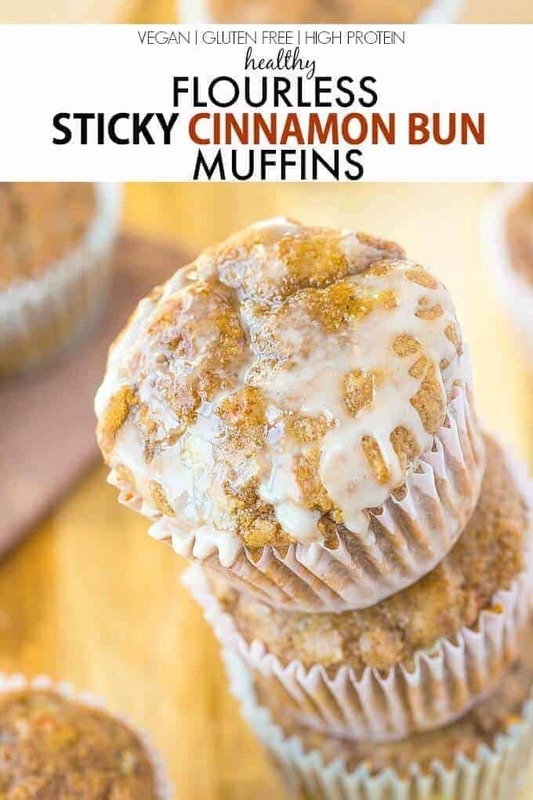 For perfect muffin recipes, look no further than this one that will make you feel like you are digging into a freshly baked cinnamon roll, check out this muffin packed with delicious paleo foods. It has a perfect texture on the outside with a gooey center that is truly delicious yet grain and sugar free. If you indulge in the topping the pecans and generous helping of cinnamon are an extra special treat on top. 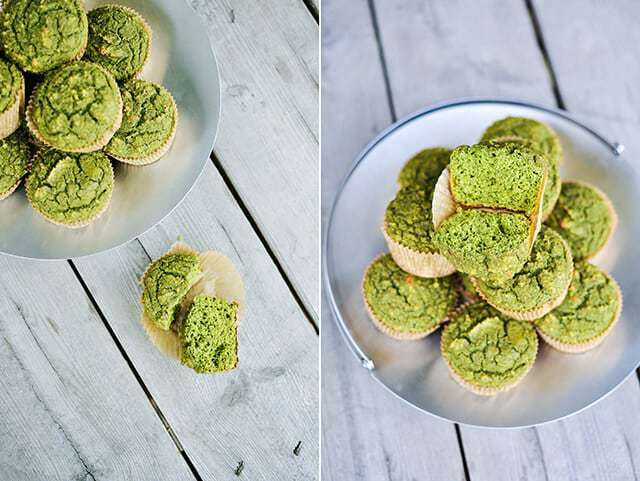 The uniquely genius combination of matcha and muffins makes a colorful and high protein and antioxidant rich muffin. They are fun and perfect for St. Patrick’s Day. Try baking up a batch and saving some for post workout snacks or a breakfast when you need to be on your way in a hurry. 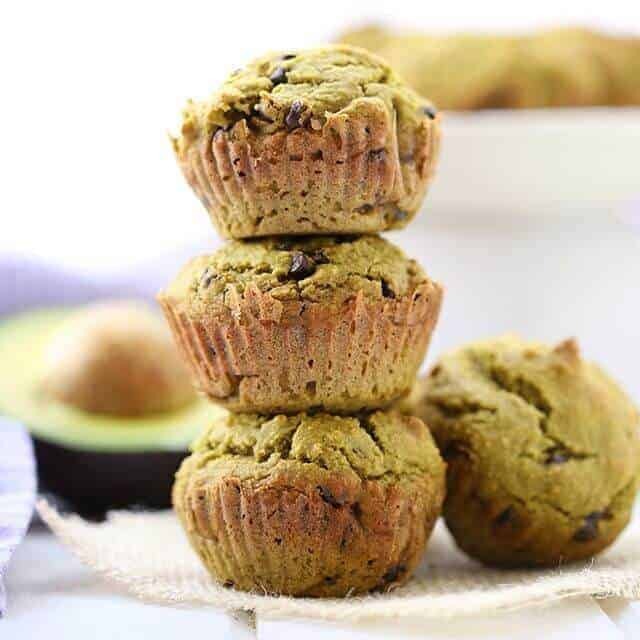 Only a small amount of matcha gives these muffins a vibrant green color, and a hearty serving of eggs and egg whites and greek yogurt add tons of protein. This answer to every paleo-loving mom wondering what to pack in lunches or serving snacks at a sports game. 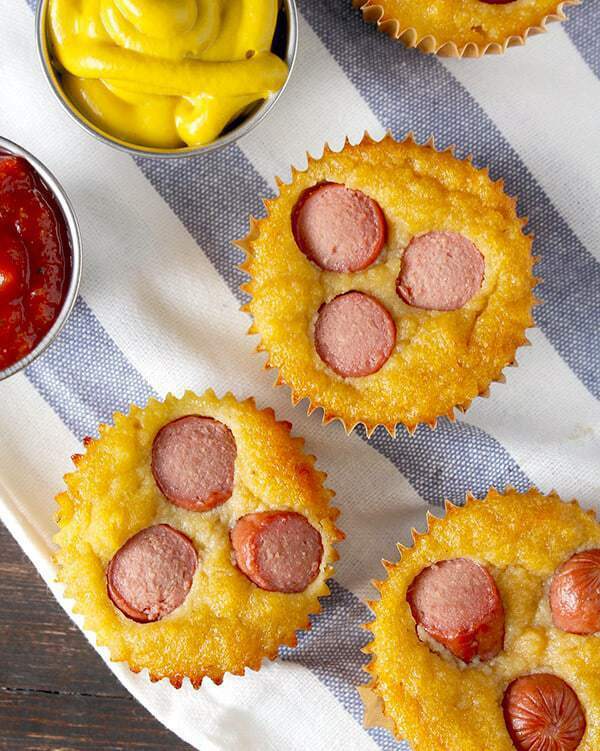 These muffins are a crowd-pleasing and fun take on corn dogs with way more protein and way less deep-fried greasiness. With no grain, 3 whole eggs, and no processed sugar of any kind, these muffins depend on a mixture of ghee and coconut oil. Serve with ketchup or mustard or even chili. 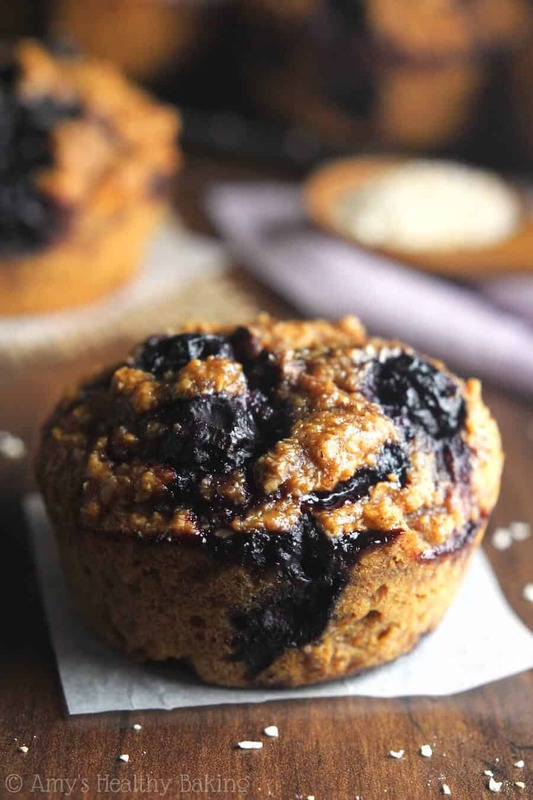 This muffin, inspired by Starbucks’ famous blueberry muffins, is not so much a muffin as a delightful treat in a cup that will give you healthy and near-instant gratification. There are easy adjustments to the recipe that make it appropriate for paleo or vegan options. It literally does not get easier than this concoction that anyone with the ingredients and a microwave can assemble, cook, and eat within 5 minutes. Perfect for dorm rooms or venues with limited kitchen space. This is another perfect paleo muffin recipe for the fall that takes full advantage of pumpkin puree and is grain and nut free. These muffins bake up quickly and are loaded with egg protein and a touch of sweetness from maple syrup. The paleo recipe is perfect to combine such a small amount of sweetness with the mild spice of the pumpkin and other fall essentials like ginger, cloves, and cinnamon. They look gorgeous and are the same color of cinnamon sticks allowing for some great presentation options. 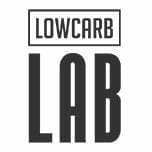 For true Paleo converts, sometimes the name of the game is replacing items you’ve become accustomed to before converting to a paleo. This take on an english muffin pairs beautifully with your eggs and is a great toast substitute. It’s easily cooked up in a microwave by simply combining the ingredients and heating for two minutes. Run it through the toaster for even more of the classic english muffin texture or eat as is covered in a nut butter or butter. Naturally vibrantly colored foods can boost our foods and our health and are a staple of a healthy diet. 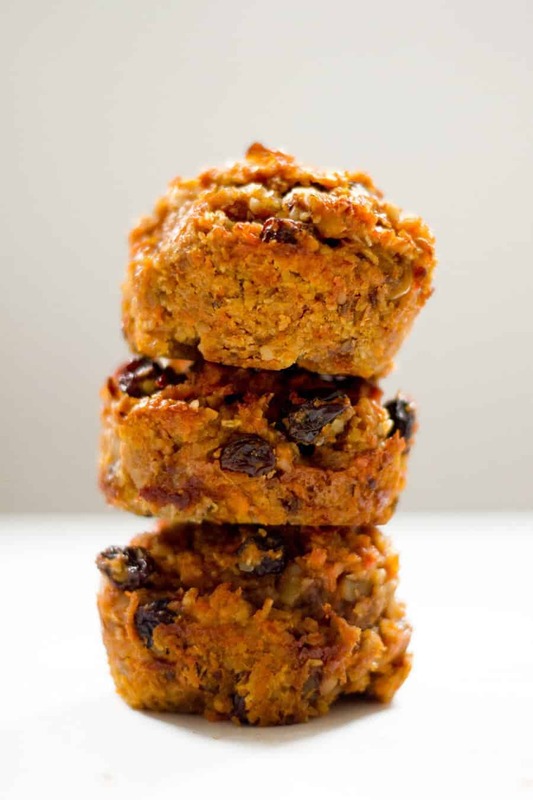 This fun and colorful orange muffin gets its glow from sweet potato and carrot and has accents of raisins, apples, and dried figs, making it a nutritional powerhouse muffin. With no processed sugar the texture is moist yet sticky inside holding its shape. The subtle sweetness from maple syrup and a small amount of coconut is the perfect compliment to the healthy fruits and veggies. 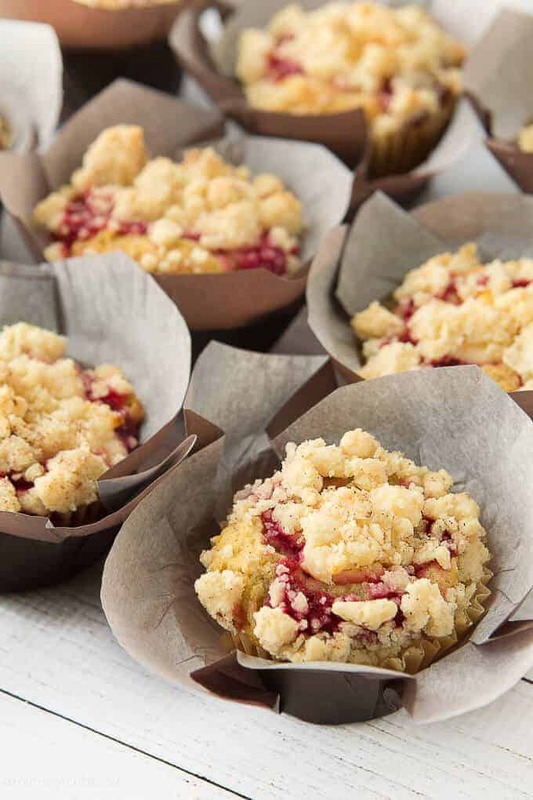 This muffin recipe is a blank canvas that allows a beautiful variation every time you want to switch it up to create a different kind of beautiful masterpiece. 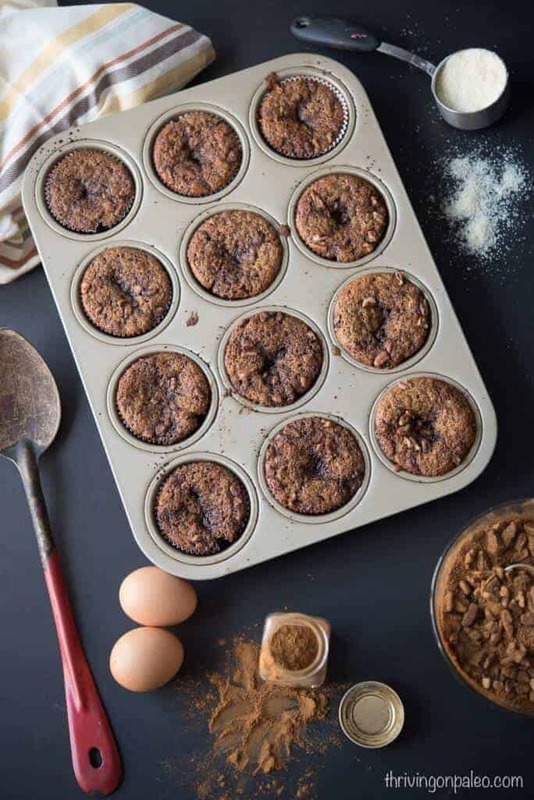 The basic idea of the recipe is to come up with the perfect proportion of almond flour to eggs to create a delicious paleo muffin that has a perfect and not too crumbly consistency. 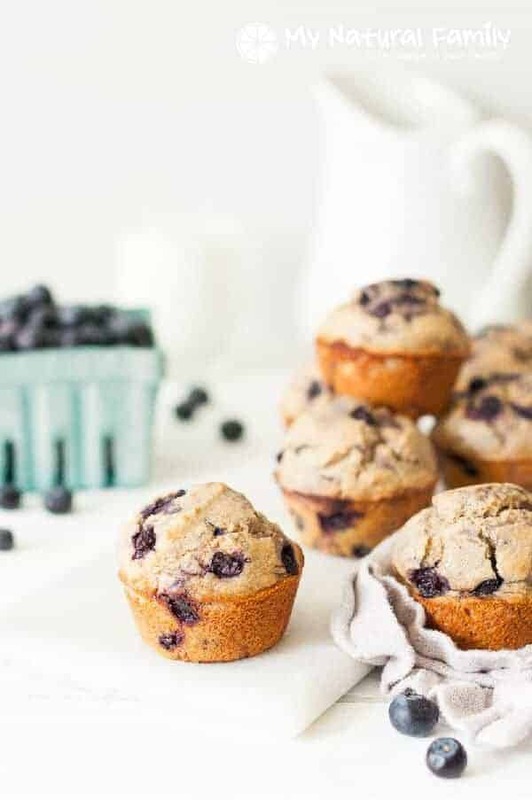 Using a fruit puree as and a sweetener approved by the paleo diet, and opting for the always popular blueberry filled filling, these are no-fail paleo muffins. These beautiful paleo muffin recipe will give you a feeling of comfort as you smell the little jewels baking up inside your oven. They’re filled with wholesome and delicious paleo diet staples like ripe bananas for sweetness and texture and eggs for protein. 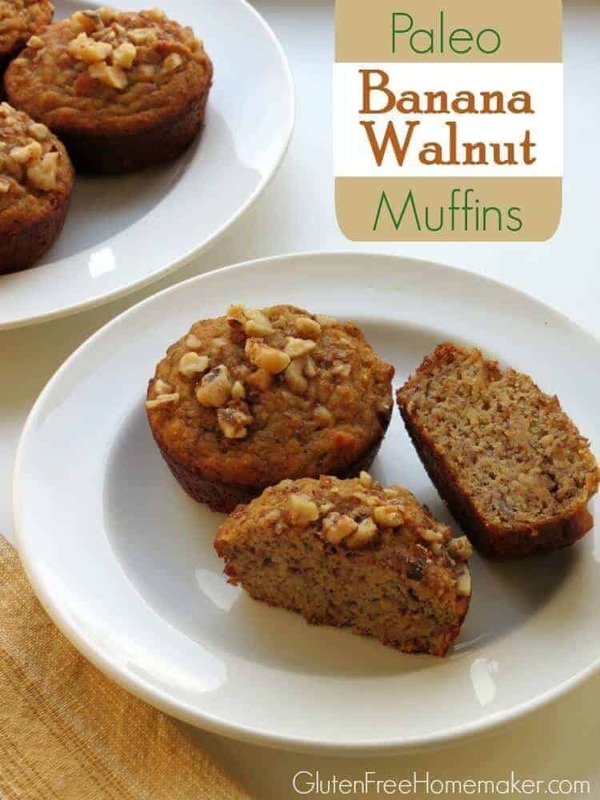 Almond butter helps create a creamy center while toasted walnuts provide a pleasant crunch that perfectly compliments the banana muffins. Sure to be a winner at breakfast time and with protein power to keep you going throughout the day, they’re also a perfect snack food. Fresh strawberries in season are a delightful treat on their own and a special indulgence in muffins. 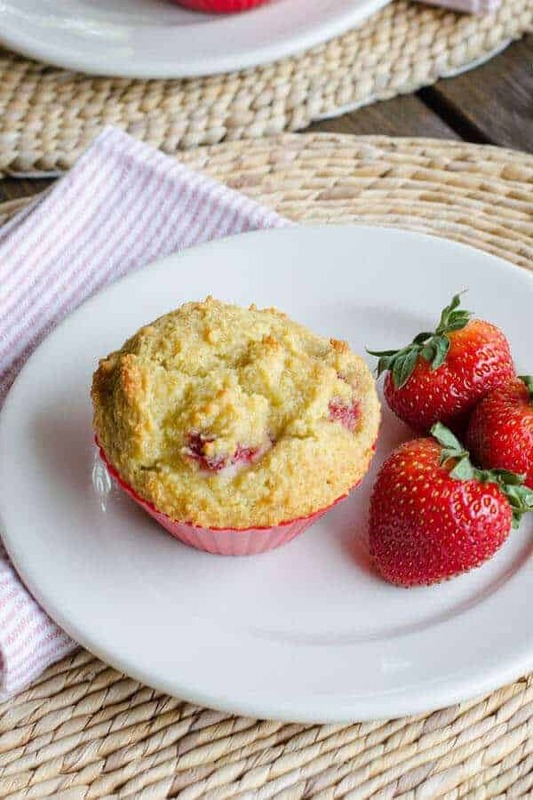 It’s rare that anyone would ever profess to have too many strawberries, but this paleo muffin recipe is one to try regardless. Gluten free and with a dairy free option, the key to the perfect taste combination is in combining tart lemon juice with vanilla and having the strawberries be the sweet highlight in these protein-packed paleo muffins. 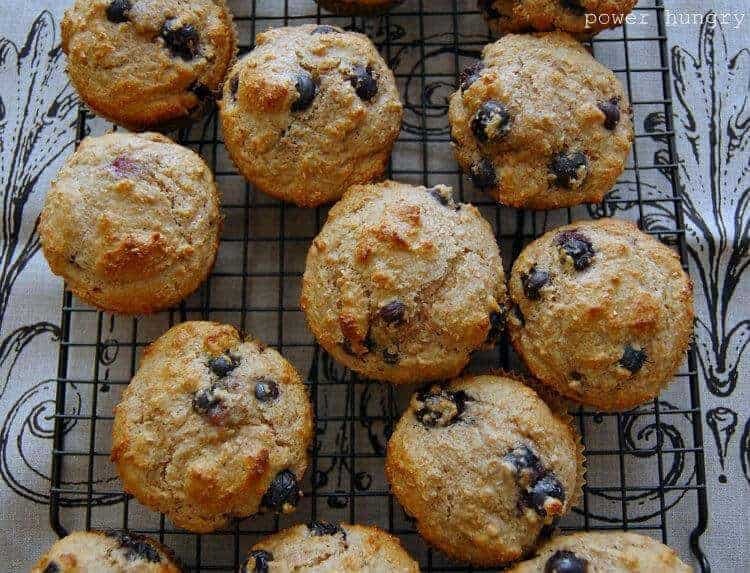 These muffins are the complete package of nutrition and flavor. Low carbohydrate and dairy free, they pack in the eggs for a powerful protein boost while mixing in perfectly coordinated ingredients like garlic, sun dried tomatoes and Italian seasonings. This paleo recipe could be appropriate for any meal of the day and would be delicious served warm or cool. They’re a great option for anyone missing pizza while on a dairy free diet since the ingredient combo is so similar. This muffin is another delicious paleo diet recipe that can be cooked up in just a minute in a microwave. If you have more time and an oven that option is also available. 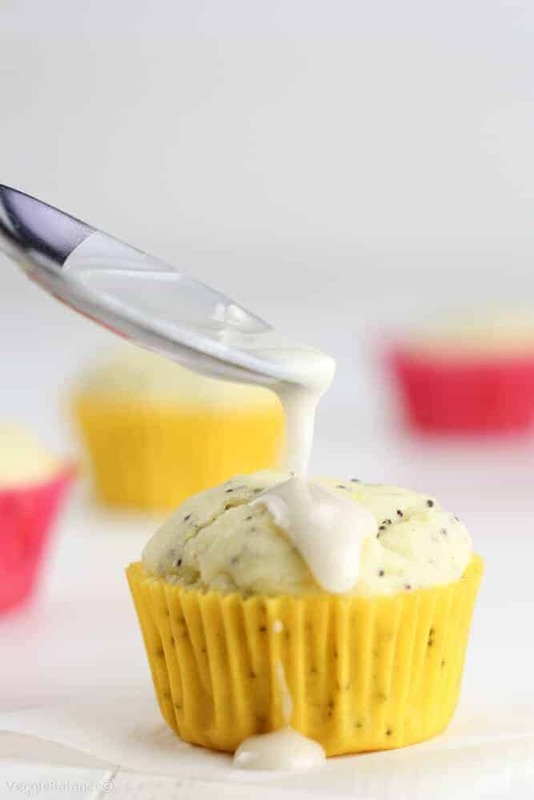 Playing on the perfect combination of tart lemon juice and poppy seeds, simply combine all the ingredients in a cup and microwave for a perfectly puffed muffin that can get you on the road in no time. The optional “icing” and has even more tart lemon flavor. 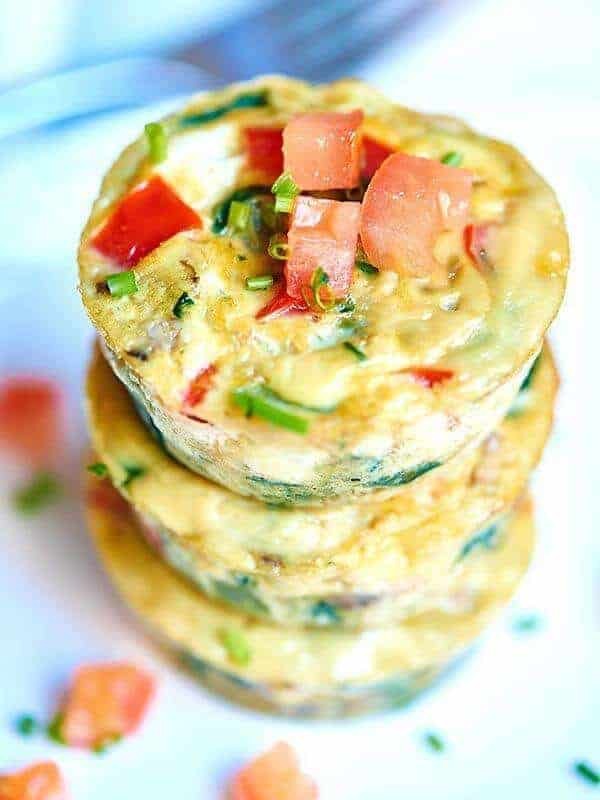 So easy and wholesome, these mini egg frittatas might not technically be muffins, but hey, they still cook up in a muffin tin! Basically an entire omelet in a bite-sized morsel of nutrition that you can easily grab and go and then reheat in a microwave later. 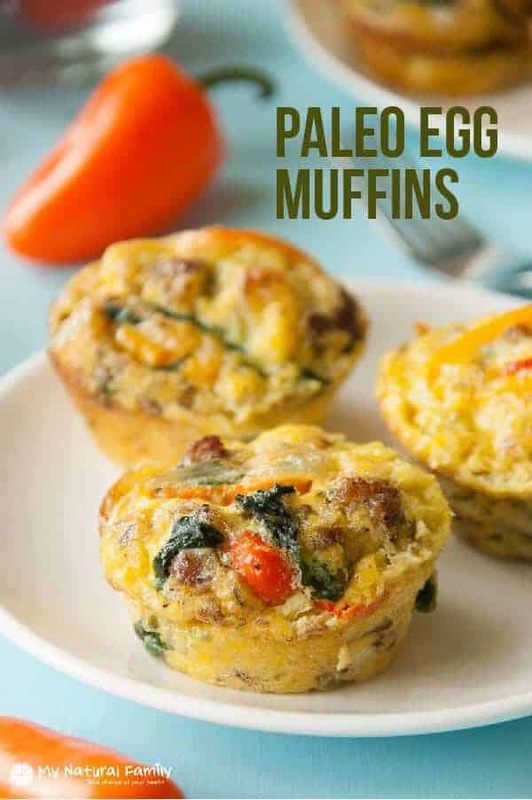 Containing all kinds of high protein breakfast meat, chopped spinach and peppers and a huge quantity of eggs, these are a paleo diet perfect breakfast. 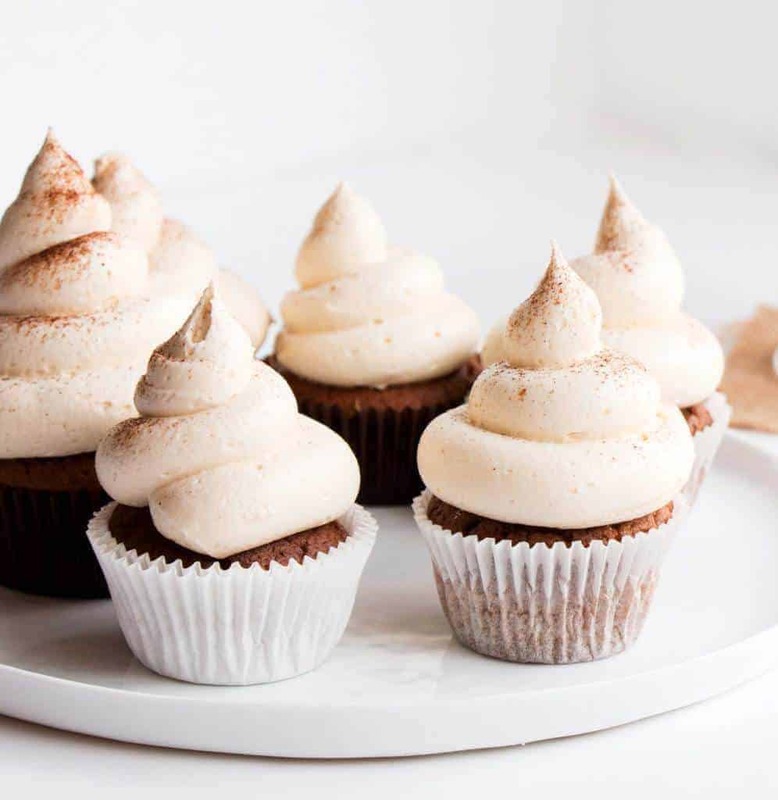 If you need a sweet tasting treat without any refined sugar to drag you down, these cupcakes filled with tasty paleo foods that are healthy but taste indulgent. 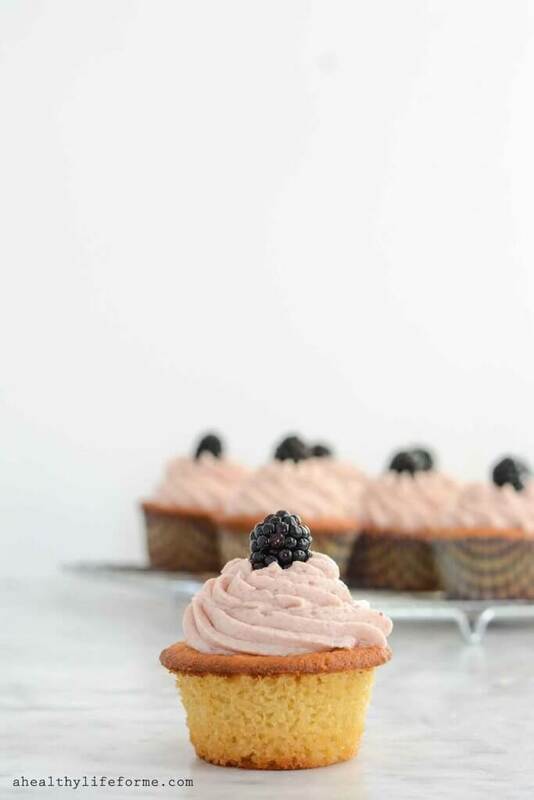 These aren’t paleo muffins but they deserve a space on the list as a perfect pick-me up dessert that uses fresh, tart blackberry puree mixed with fresh lemon for a refreshing flavor. The recipe might need a few adjustments to make it completely paleo, but the buttercream frosting is definitely worth a try. These apple muffins are another fantastically easy snack to bake up ahead of time. The simplicity of these muffins is that one session in the kitchen makes your entire week easier and gives your family an easy snack option. Apple is the perfect hearty fruit to give these muffins just the right amount of natural sweetness and texture, and honey binds the muffin together as it bakes to a perfect golden brown. 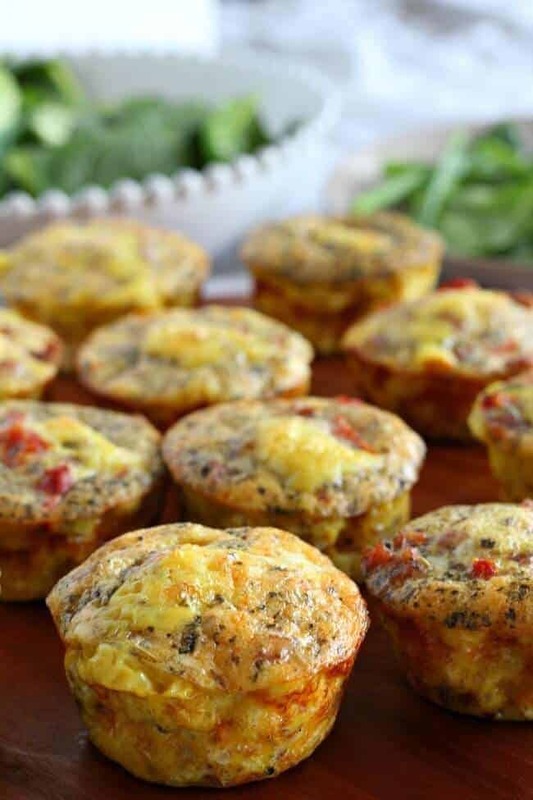 If you want a healthy breakfast but don’t have much time to devote to slaving over a hot stove, egg muffin cups are your solution. They only take a few minutes to whip up and only 15 minutes to bake, you can make them in advance and enjoy them all week long. Filled with classic paleo breakfast ingredients like peppers, onions and mushrooms and boasting eggs and egg whites for added protein, try drizzling it with hot sauce for a mouth watering start to your morning. 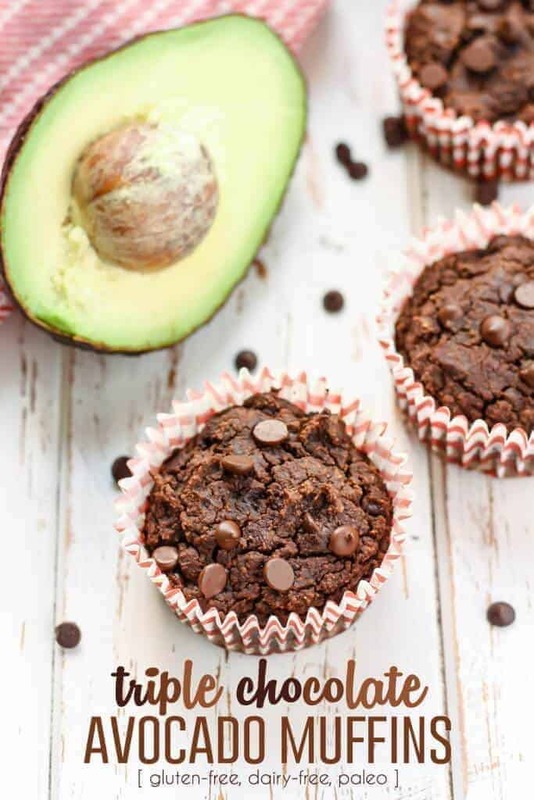 Avocado is a nutritional goldmine that wouldn’t normally come to mind when baking paleo muffins. This recipe utilizes this underused and natural ingredient that is a source of healthy fats but doesn’t affect the amazing chocolatey flavor. They are an incredible treat that feels sinful but actually pack in four grams of protein and five grams of fiber to help keep your appetite satisfied throughout the day. The combination of cocoa powder and mini chocolate chips make them perfect for special occasions too. 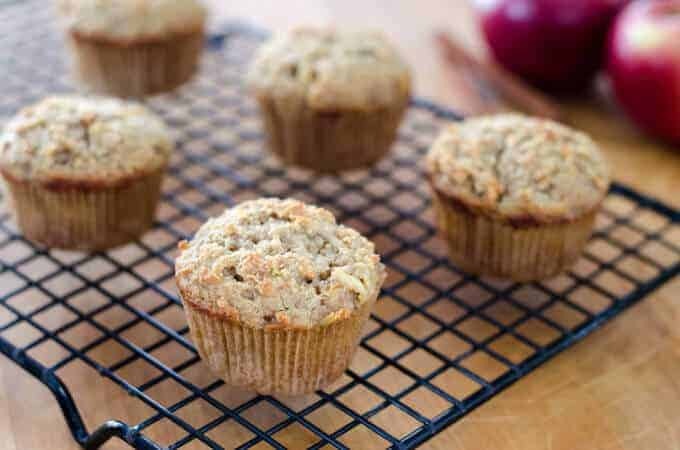 Carrot and apple is an amazing healthful combination that packs so much flavor into these gluten free muffins. Try substituting out the rolled oats for a completely paleo option. These are completely vegan but grating the apples and the carrots gives such a great healthy texture and moistness to these snacks. Chopped raw walnuts add a delicious crunch and a nutritional boost of healthy omega-3 fats and antioxidants. 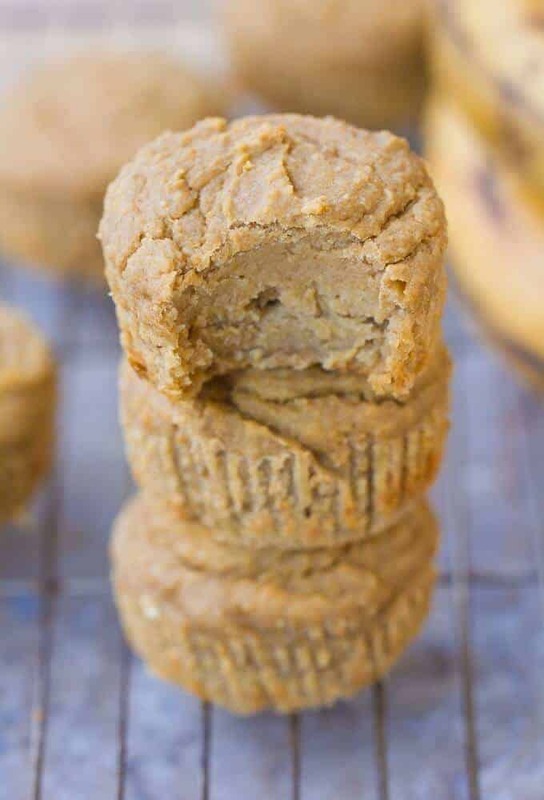 Another great use for over-ripe bananas is this paleo muffin recipe that is high in natural sugar content, potassium and can be blended into a simple mix for a quick breakfast snack. Moist and tempting with zero refined sugar, these little banana breads have an amazing texture with so much sweetness. They are an indulgent treat that can be totally paleo and even vegan! 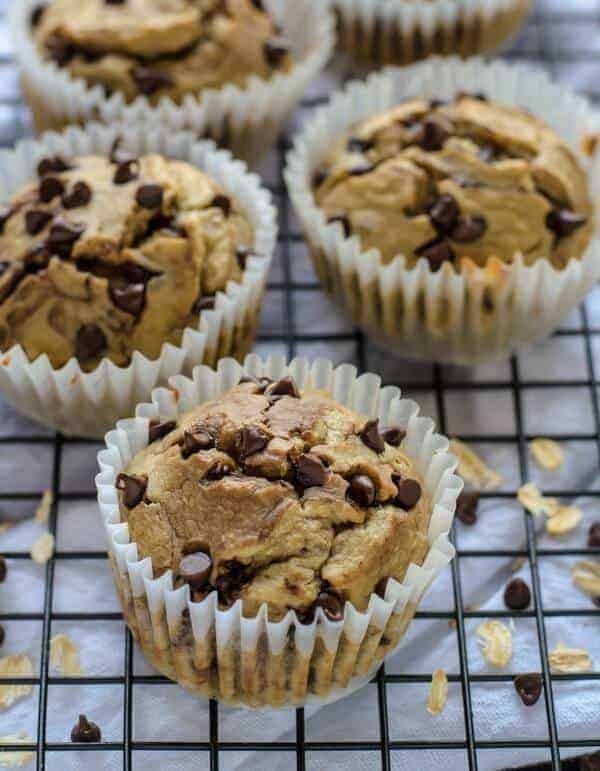 Almond butter gives them a little protein boost but mainly these delicious muffins should just be consumed as quickly as possible. The amazing taste of maple syrup mixed with pecans is something you need to try to believe. Think of pecan pie baking in a muffin tin and you’ll start to understand. 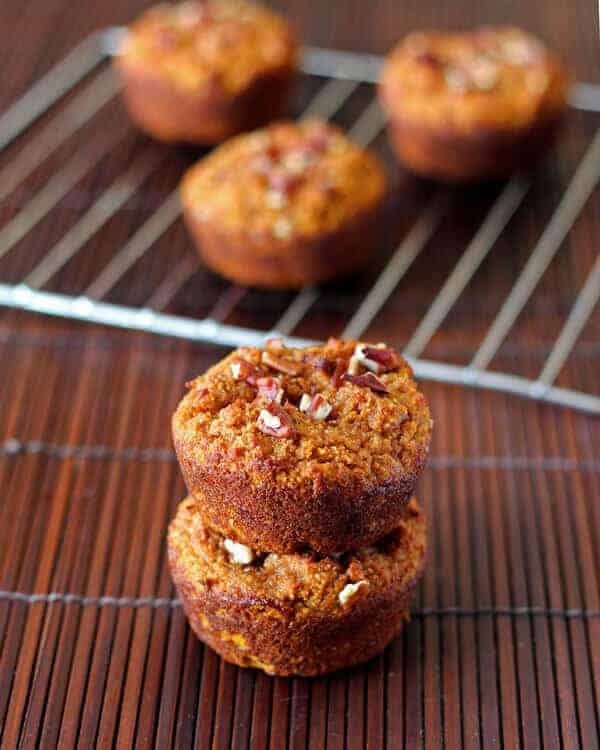 The pecans lend such a delightful crunch to these healthy muffins that can be easily modified to be paleo. 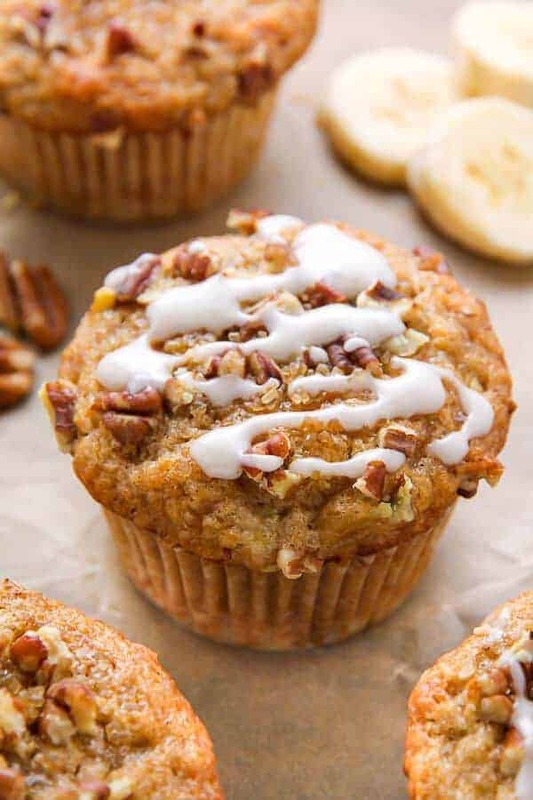 Coconut oil and mashed bananas blend perfectly and the muffins draw their moisture from the super ripe bananas, making the texture crumbly yet moist. This gluten-free, dairy free and low-sugar recipe are a perfect treat in spring when lemons are everywhere and its time to break out of the winter breakfast rut. These super-moist healthy muffins are not paleo but easily could be if you substituted the cane sugar for honey. 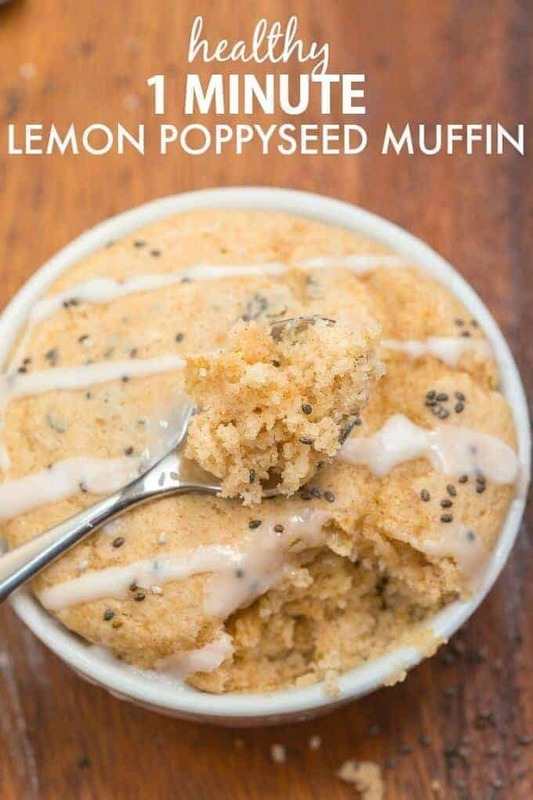 The combination of lemons and poppy seeds is classic and such a great use of lemons from your garden, using lemon juice and the zest for an amazing flavor. These muffins should belong in a paleo recipes cookbook. They are a staple that will please anyone for breakfast or a midday snack. Using bananas and honey as a sweet alternative to refined sugars, and coconut flour as a base, they are high in protein and hearty enough to sustain you in the morning. They bake up a gorgeous dark brown color and have just a hint of subtle vanilla flavoring. The combination of all the wonderful ingredients and the crunch of walnuts make these a healthy treat. When the seasons turns to fall and everyone is in pumpkin euphoria, these muffins are sure to be a huge hit. They are completely free of refined sugar and grain and sweetened with maple syrup. 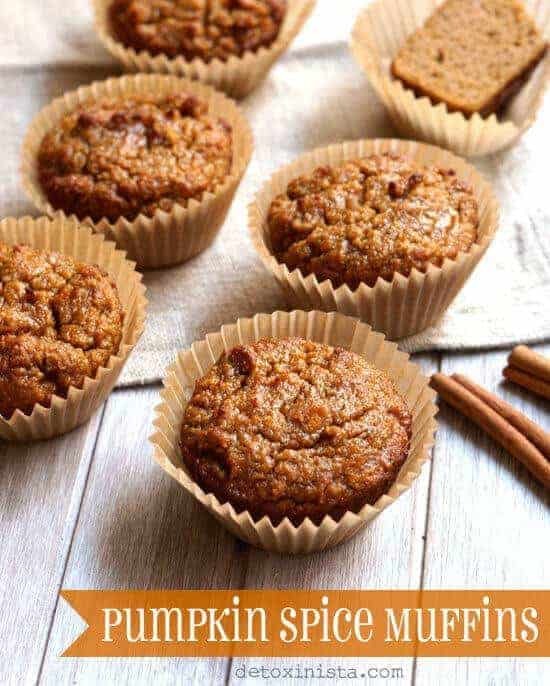 The syrup is a great combination with the pumpkin flavor and they bake up beautifully, making this a perfect fall paleo muffin recipe. True to paleo foods they are high in protein from their egg content and a wonderful nutty crunch from pecans or walnuts. 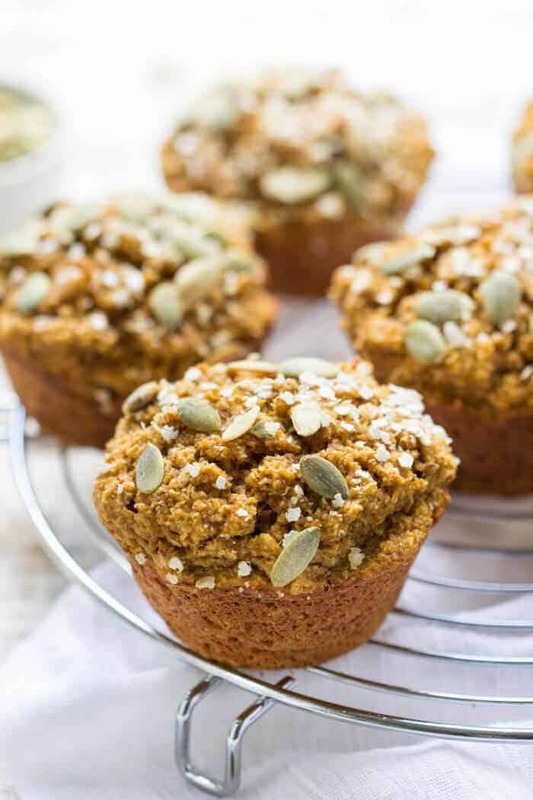 The skinny pumpkin quinoa muffins are not paleo, but they are incredibly healthy and delicious. Though they are dairy free and do not contain eggs like most paleo muffins, they are completely free of refined sugars. The recipe depends mainly on a combination of oat flour, quinoa flakes, and flaxseed meal which makes them hearty and nourishing as well as extremely high in fiber. 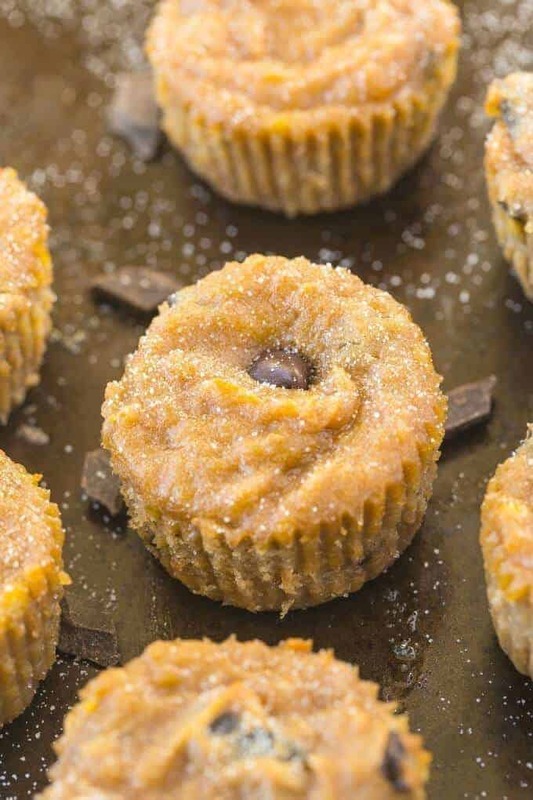 Taking a page from the paleo recipe guidelines, they are sweetened with maple syrup, pumpkin puree, and mashed bananas. 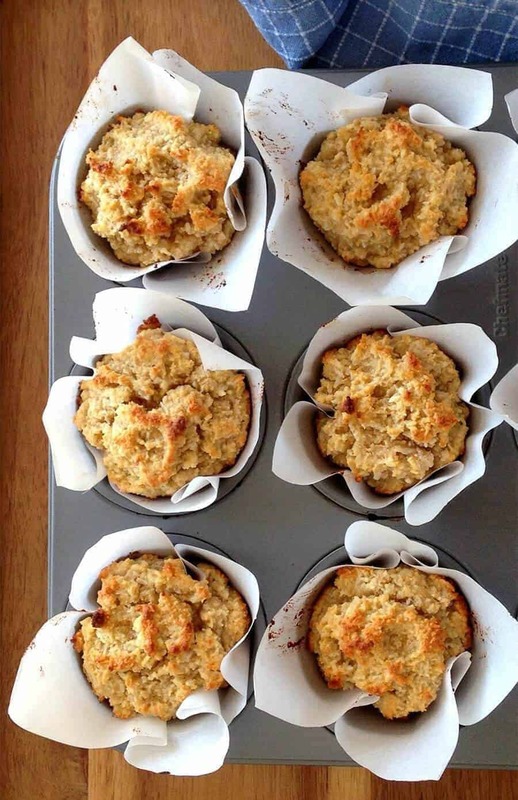 It doesn’t get easier or more wholesome than these delightful banana oatmeal muffins. This isn’t a strict paleo recipe, in fact it contains oats and Greek yogurt, which are delicious and wholesome but not normally considered paleo foods. Yet it deserves a place here for it’s incredibly easy blender preparation, beautiful presentation, and luscious dark chocolate that mixes so perfectly with the banana flavor. 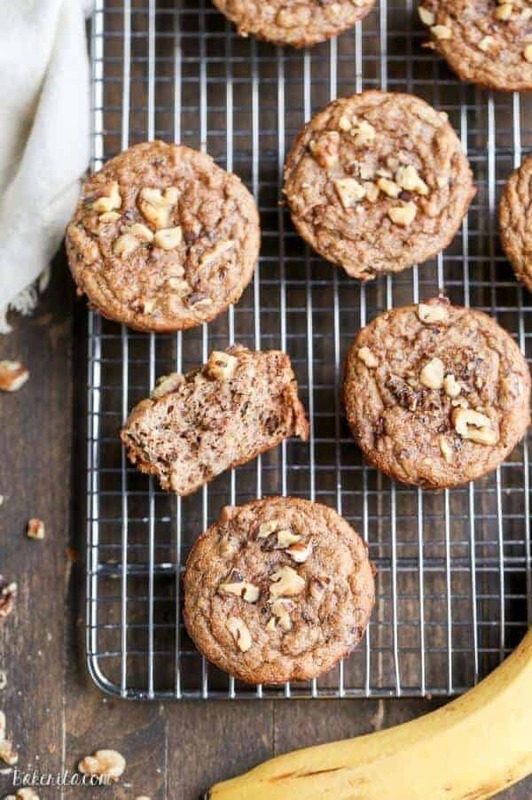 This recipe does abstain from refined sugars, instead sweetening the muffin with honey and ripe bananas, both paleo staples. The simplicity of these nearly muffins lies in just a few essential ingredients that create a perfect texture and structure to this muffin. 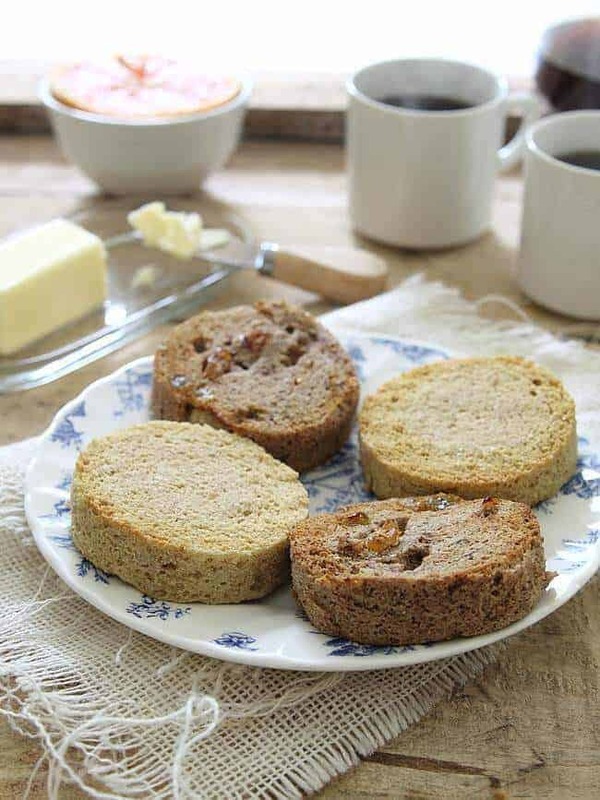 Banana and honey are the exclusive sweeteners, leaving these indulgent muffins completely free from refined sugars. Adding a small amount of miniature chocolate chips only increases the delectable chocolate flavoring. These muffins are so moist and delicious, you won’t believe they were made with no oil or butter of any kind. Substitute out almond butter for peanut butter to go completely paleo. Pineapple and coconut as a combination are completely underused in muffin recipes like this nearly paleo one. Though the recipe calls for milk, yogurt, and oat flour, and is thereby not a strict paleo recipe, it definitely follows some of the tenants of the diet by limiting sugar and using the pineapple to sweeten it up. Even better, it’s an unusual taste combination that totally works and is extremely easy to prepare. 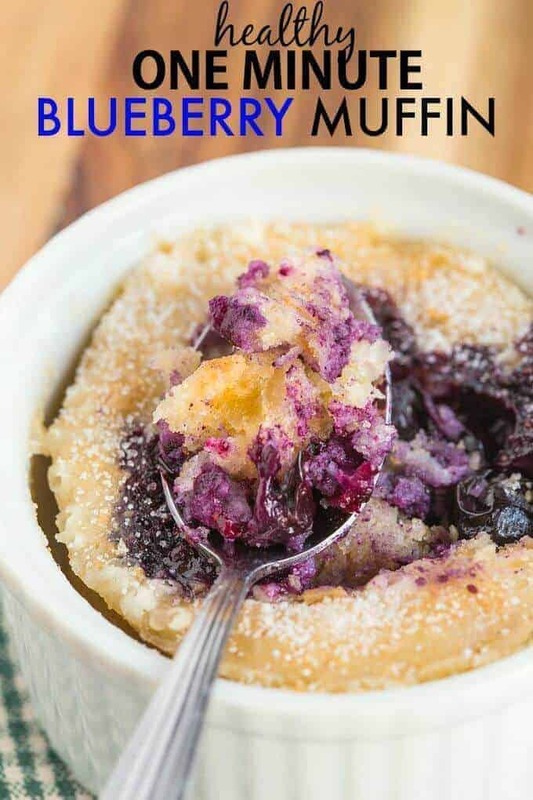 Quite possibly the most perfect and wholesome blueberry muffin ever, this recipe does not claim to be paleo since it uses buttermilk and greek yogurt. But you do get a nice protein boost from the yogurt and the bran in the muffin is so good and full of fiber. They have such a beautiful look and smell after being freshly baked that you will struggle to let them cool long enough before diving in. Try making them with organic frozen blueberries and your tastebuds will thank you for your effort. Zucchini is such a versatile vegetable with a very high water content. You might never have thought to include it in a paleo muffin but it really increases the moist texture of the muffin without causing any unpleasant vegetable undertones. These are not strictly paleo but they are gluten-free, dairy free, oil free and refined sugar free, so they can’t be too unhealthy for you. Again fitting with the tenants of the basic paleo muffin, these are sweetened with banana and honey as opposed to refined sugar. Because everyone needs a paleo donut hole recipe, these little gems, which are also grain and dairy free, exist. This is a recipe that you must try that incorporates lots of paleo ingredients while also being a fall favorite with a distinctive pumpkin flavoring. Using all the classic spices that belong in any decent pumpkin pie, and finished off with cinnamon sugar, these are positively delectable little morsels. Most of the flour is paleo friendly, though you’ll need to substitute out the sugar for a different sweetener. This muffin recipe has to be one of the most satisfying cinnamon bun renditions ever. Completely gluten free and beautiful on a platter with the icing on, these muffins are not complete without their glaze. Full of protein and fiber and without any butter and completely sugar free, these are amazing when warm out of the oven. They only take 15 minutes to make, so this is the perfect weekend breakfast for someone that wants the indulgence without time spent over a hot oven. If you are looking for a muffin with moisture and texture that is completely unreal, look no further. The insides of these muffins are so moist and addictive you won’t be able to stop making them. Perfect for breakfast or a snack any time of day, the white beans in these muffins are very interesting and you have the option of adding add-ons like mini chocolate chips, walnuts, shredded coconut, or whatever else sounds good to you. There is no doubt that having a muffin alongside a cup of coffee is basically perfection. 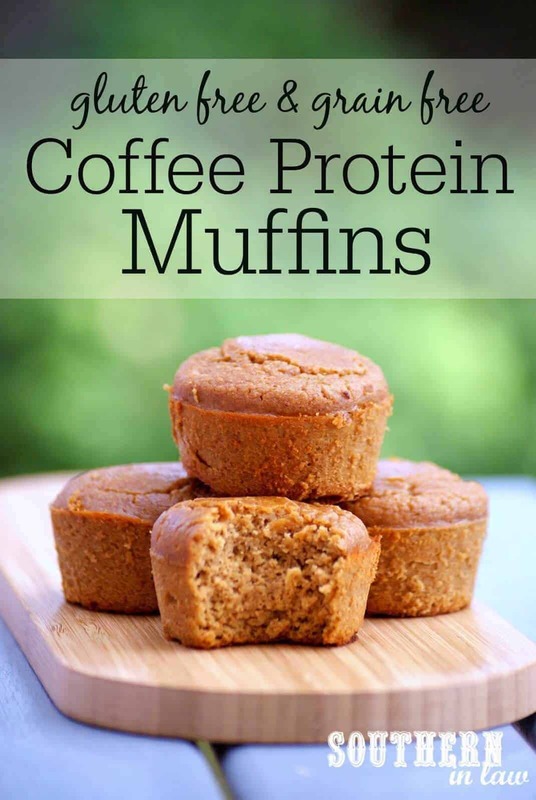 So what do you get when you create a paleo muffin recipe with coffee and paleo ingredients? This moist treat has so much coffee flavor but absolutely no refined sugar or grain. It does include 1 shot of brewed coffee which makes it probably not the best kid snack but a definite winner amongst colleagues and friends. 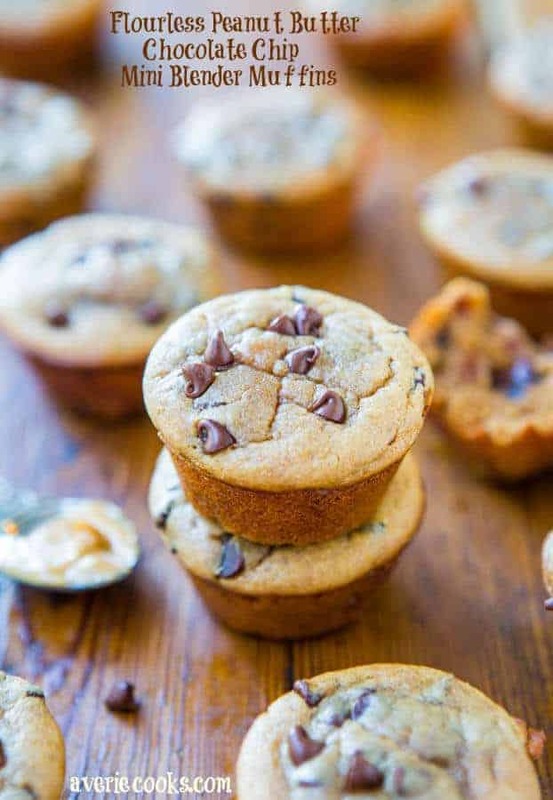 For a definite favorite amongst little people in your life, and the big ones that can still appreciate indulgence, you have the flourless peanut butter chocolate chip mini muffin. Made in a blender! The dough is made in only a few seconds, and after you stir in chocolate chips you are ready to bake. So easy and so delicious, this paleo adaptable recipe uses no refined sugars or and is completely gluten and grain free. This classic blueberry muffin recipe is perfect but leaves out any refined sugars. Omitting just the oat and whole wheat flour for an almond or coconut flour would make the recipe completely paleo. 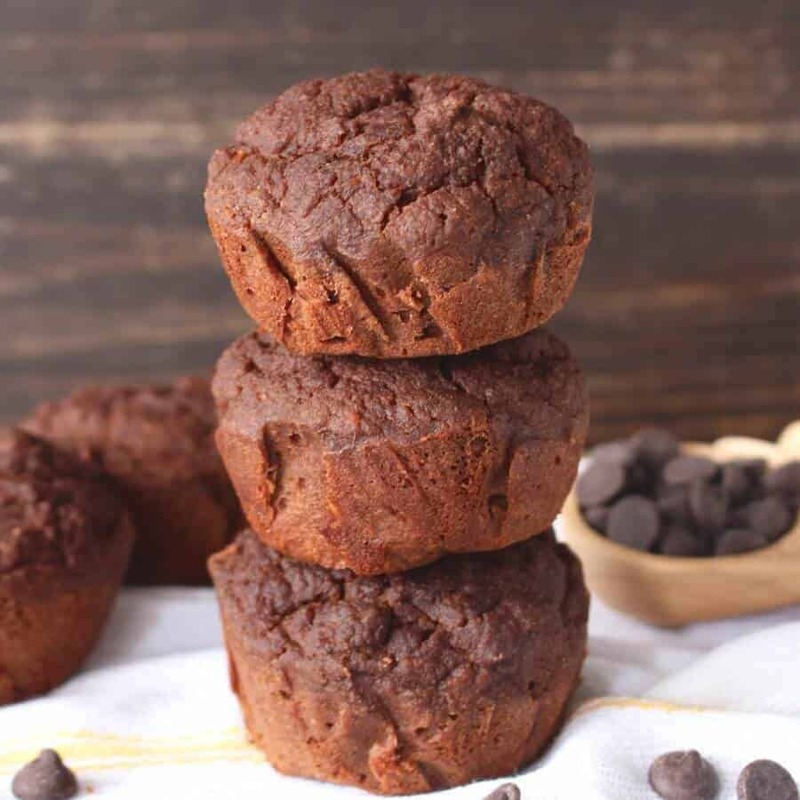 Designed to be a muffin that could deliver the paleo protein kick without any unnecessary sugars, this muffin holds together and has a great texture. This recipe leans on coconut oil and coconut milk as cohesive binding elements to the muffin. There is something to be said for simple paleo muffin recipes with ingredients than can mix together into an incredible muffin. 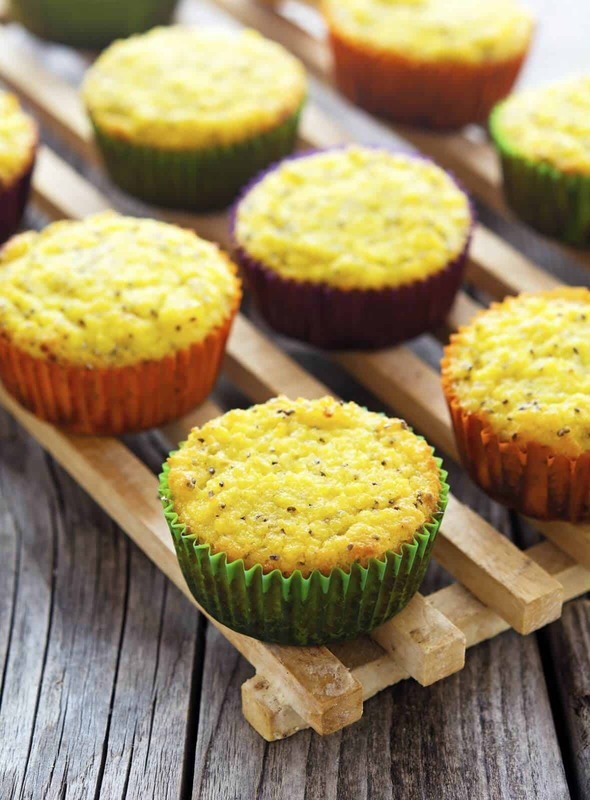 The combination of lemon zest and lemon juice with high protein powered chia seeds is an amazing morning muffin. Zero refined sugar and a very high egg content make this one of the most legitimate paleo muffin recipes. The addition of chia seeds is a nice switch from poppy seeds that normally accompany lemon. The full 1/4 cup of honey really draws all the elements of this muffin together. Ginger is such an overlooked ingredient that can pack a powerful boost of immune support and flavor. 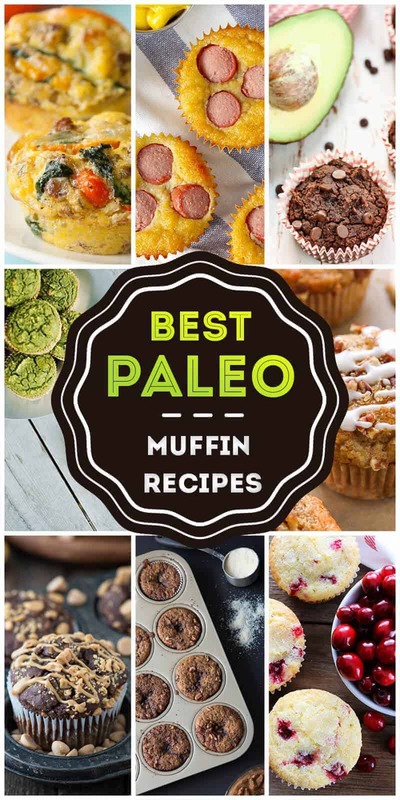 These paleo muffin recipes are based in blanched almond flour which gives them a rich and satisfying flavor as well as a healthy fat content. 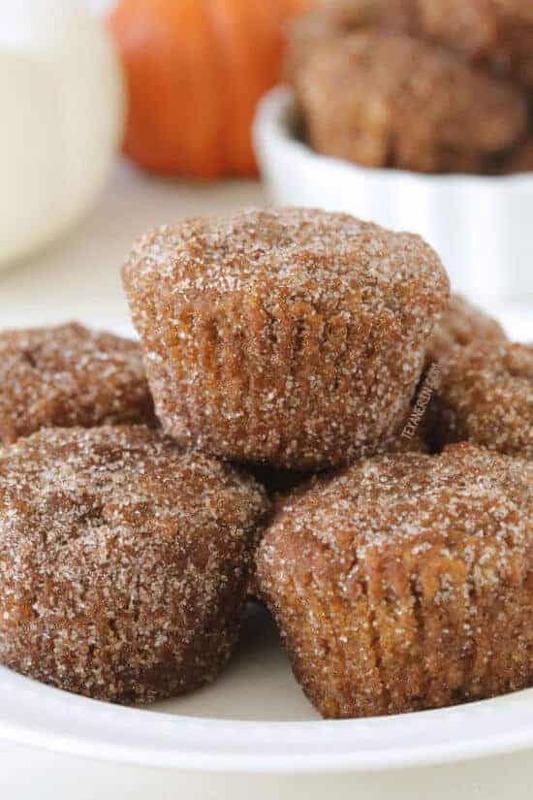 Since there are so many fall favorite spices in these muffins, it seems only right to bust out a mini muffin pan and go crazy for an autumnal party. The shredded coconut adds depth and flavor. 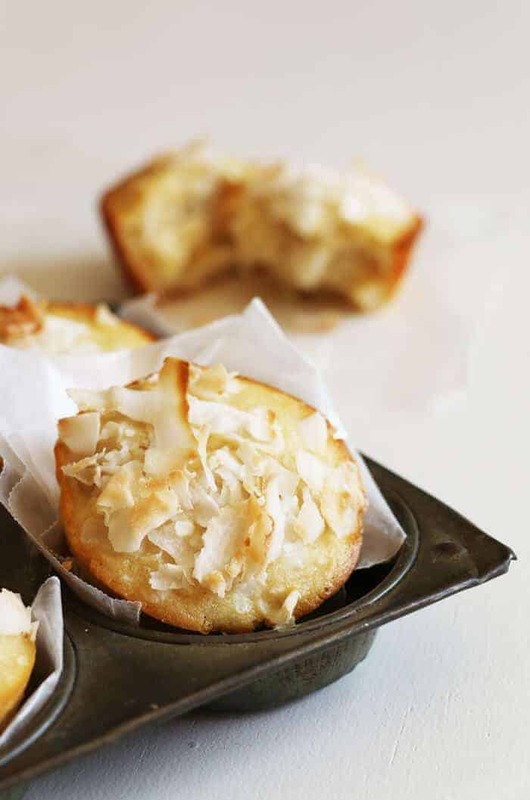 This muffin is a coconut lover’s delight, since it uses three different forms that bake together so brilliantly. The crumb of this muffin makes it exceptional with coffee or tea. The high egg content is a paleo ingredient favorite and there is no refined sugar. The recipe depends on 1/4 of honey and vanilla extract to make up a unique and flavorful paleo muffin. This recipe is textbook paleo and utilizes so many techniques to make it successful time after time. The day after Thanksgiving when you are looking at leftover cranberry sauce can now be made so much more special. Meet the perfect solution for your leftovers, so delicious you’ll be thinking of it all day long. This layered muffin has a secret ingredient on the bottom that makes it extremely decadent, white chocolate chips! The base of this muffin serves as a layer for tart cranberry sauce, followed by sweet cream cheese mixture. Crumbled butter, flour, sugar and cinnamon top this indulgent treat. 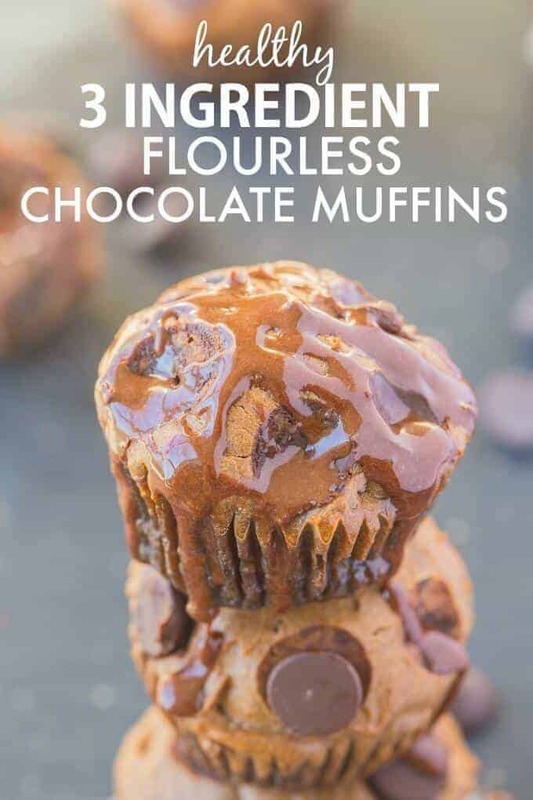 Designed to please any real dark chocolate fan, these three ingredient paleo appropriate muffins are flourless, dairy-free, and have no refined sugar of any kind. Flax eggs can be substituted for real eggs for vegan diets. 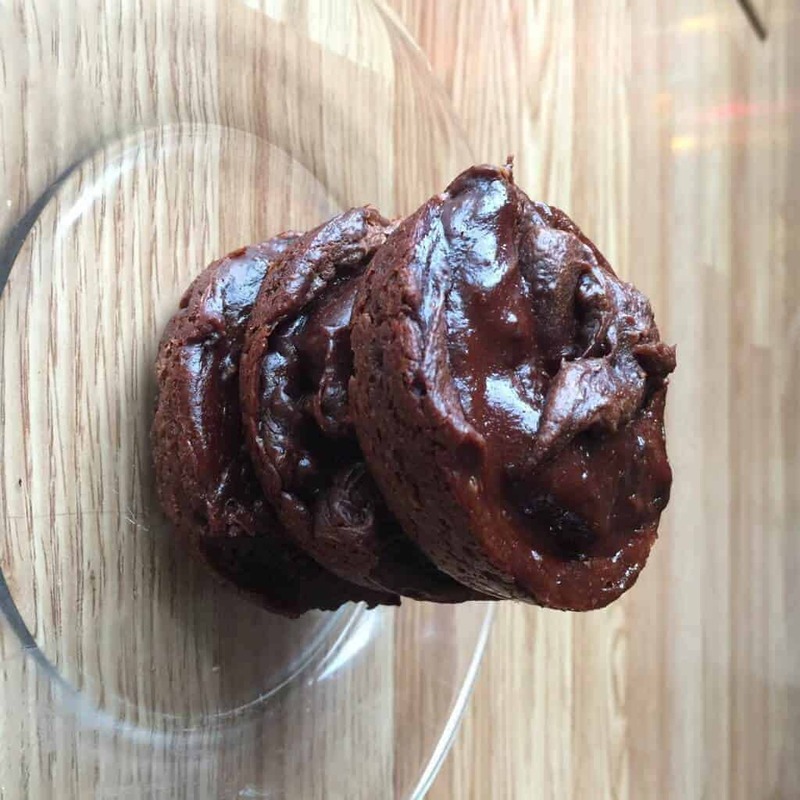 This muffin caters to the dark chocolate lover, and has a rich flavor that will delight any paleo food fan. They are not sweet however, so you might not plan on serving this at a kid’s birthday party. Save the paleo recipe for a special day. You might wait all year long until your favorite fall season when suddenly autumnal spices and flavors start making their appearance. 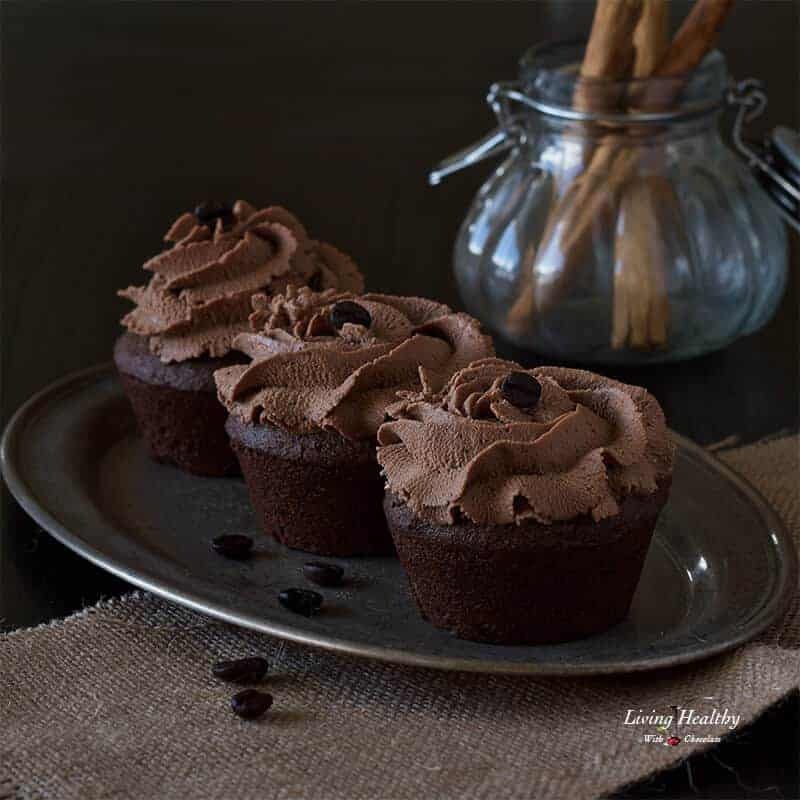 This Mocha Cupcakes are such a perfect compliment to a warm beverage on a cold day and they are paleo muffins that are free of gluten and refined sugar. This paleo recipe uses no dairy and fully exploits the mix of the fall spices like cinnamon with the wonderfully uplifting ground coffee. Avocados are such a wonderful source of healthy fats. They also look so beautiful and natural that we can almost not believe they can substitute for less healthy fats like butter in paleo muffin recipes. They are an underused assets in dairy free diets and baking in general. These muffins are paleo inspired because there is no refined sugar and the sweetness comes from applesauce and maple syrup. A hearty egg content gives a protein punch and the oat flour packs these muffins with fiber. The holiday season brings you a full household of guests. 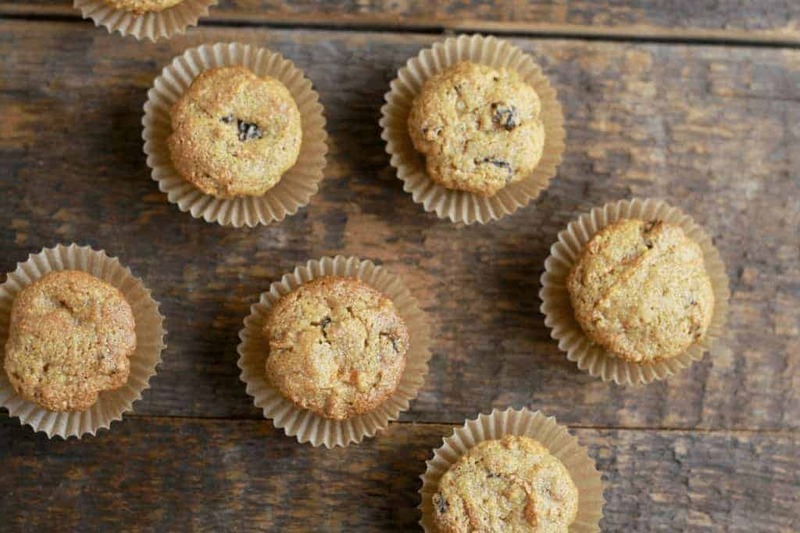 These paleo inspired and easily converted muffins are the absolutely perfect breakfast treat. Plentiful orange zest and sugar make this an only occasional treat, but it will impress and the presentation is so bright and colorful. 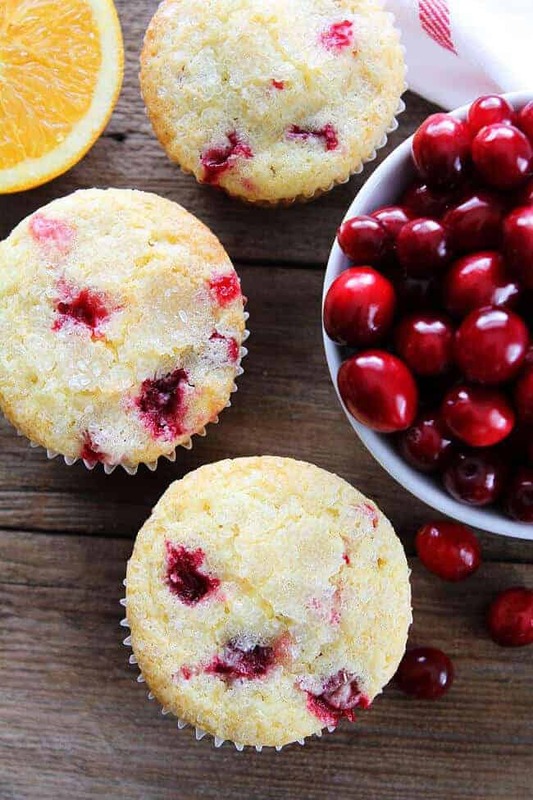 Tart cranberries and a great load of egg protein make these a great holiday paleo inspired muffin recipe that will be a well admired tea-time treat at your holiday gathering.